Editor’s Note: Fifty-six-year-old Denise Horn of Janesville, Wisconsin, was 2-1/2 years old when she was diagnosed with cerebral palsy. I was born two months premature. When my parents noticed I wasn’t developing like other children, they took me to the family practitioner who delivered me. He said, “Don’t worry about it. She’ll catch up developmentally.” Finally, they took me to a specialist, and he discovered that I had cerebral palsy. I attended Ball State University. Because of some personal problems, I had to come back home, live with my parents and go to a commuter school to try and finish my degree in social work. About 1-1/2 years after I moved back home, my father told me, “Denise, you’re going to have to take your wings and fly, because I can’t take care of you and your mother both at the same time.” My mother had emphysema, and my dad was trying to care for both of us. My dad was telling me that I needed to become an independent person again. So, I returned to Ball State University and got my bachelor’s degree in social work. I’ve been living independently since I was 19 years old. In my book, “Take Your Wings and Fly,” I’ve documented some of the challenges I’ve had, and some of the things I’ve had to overcome to live as an independent person. In this book, I want to show others how they too can become independent, live on their own and take their wings and fly. You can’t instantly change from being a person with disabilities who’s cared for to becoming an independent person and living on your own. But if you start taking small steps and accomplishing small goals, there is a very good chance that you can be what you want to be, and for many of us, that’s becoming independent. I want you to see that you can achieve whatever goals you have in mind, or whatever your desires are. Your journey may be difficult, and you may have to use all your creativity to complete your journey, but if you have a positive attitude, you can get to where you want to go or become who you want to be. What goal do you want to achieve? What does that goal look like now? What will that goal look like once you achieve it? What kind of bite-size (small little things) action steps can you do now to start moving toward that goal? Be sure to focus on little steps that you can take every day. They may not require more than 10 minutes of your time, but they will cause you to move toward your goal. Why you never should give up. Think about how each little step you’re taking is bringing you closer to the goal you want to achieve. Then you won’t get overwhelmed with achieving that goal. Enjoy the process of getting closer to that goal with every step. What’s the importance of the thoughts you choose? You can decide to have a positive attitude that you will reach your goal if you continue to take little steps. Focus on solutions and not on the problems. I had on my bucket list the goal of writing a book. I didn’t know how to write a book, but it was a goal I always had wanted to achieve. So, I started talking to people who wrote books about how they went about writing their books and how they sold them. I took little steps and wrote. Then I found Sue Mitchell who helped me write my book “Take Your Wings and Fly” and get it published on Amazon.com as an eBook and by CreateSpace as a print book. You’ll see in my book that I had some really big challenges in some things I wanted to achieve during my life. “Imagine what it would be like to live having almost no control over your body. What would such a disability do to your goals and dreams? Denise Horn was born with cerebral palsy and today only can move her head and one arm. By overcoming one obstacle after another, she has developed an approach to life that has allowed her to conquer challenges others in her circumstances won’t even consider facing. Follow her story from a dangerous birth, through a severely limited childhood expanded by new special education laws, to conquering the adult milestones of college, career and marriage that many thought she never could accomplish. For 10 years, I worked at an independent living facility and then for the State of Illinois. I had to travel back and forth from the suburbs into Chicago where I was a Medicaid worker. I transferred into my wheelchair to go to work with a Hoyer Lift. Somehow I fell and broke my tibia. I called 911 and asked them to come help me because I was on the floor and couldn’t get up. After that injury happened, I wasn’t able to push up in my wheelchair or take care of my bathroom needs. I had heard of a life coach before, but I had never considered that profession before. When I decided I needed to go back to work after I fell trying to transfer with my Hoyer Lift, I considered becoming a life coach and researched what was required to be one. Then I met people who were life coaches and asked them what I needed to do to learn how to become a life coach. I didn’t have any money. However, I was able to get a scholarship, which paid for the training I needed and for me to become certified as a life coach. Today I give people support to help them overcome personal challenges and to aid them in reaching life goals, which often includes a wide range of different challenges. They need to want to make some changes in their lives. I don’t force people to make changes. I just try to give them a plan to go from where they are to where they want to be by taking small steps that result in big changes. We next will come up with an action plan, and we agree on this action plan. Together the person I’m coaching and I begin to start setting obtainable goals to get our action plan moving forward. We decide then how important each one of our action plans is in the overall goals that person wants to reach. My people know I’m the support person many of us with disabilities have wished we’ve had. While growing up, we want advice on how to obtain certain goals, but we don’t want someone who makes judgment calls on what we’re trying to achieve. We’re looking for someone to give us advice and not be judgmental. We want someone to help us to get from where we are to the goals we want to achieve. You are the master of your own destiny and your own happiness, but many times you need someone to aid in guiding you to those goals. For instance, one lady I coached was very upset when her company closed down, and she lost her job as information technology worker. Next, she took another job that really didn’t fit her skill set. She felt trapped, because she was working two jobs, but didn’t have the money or the time to retrain in the latest IT programs available. She told me, “I don’t really know where to begin to get back into the IT profession that I love.” We talked, and I encouraged her to go to the unemployment office where she found a full-time job. In that process, she learned the skills required to further her IT training. This type of coaching was relatively easy for us to work through and accomplish her goal. I participate in many life group coaching seminars and classes. One of the ladies I met came out and said, “I need someone to encourage me to overcome my problem with procrastination.” I asked her, “What’s one small effortless step that you can take today to help you stop procrastinating?” That effortless task was as simple as making a list of the things she wanted to do. As she accomplished each one of those tasks on the list and marked that task off her list, she could see that she was no longer procrastinating. In fact, she was now moving toward her goals and seeing progress each day. Oftentimes, simply making a list of what you want to do each day encourages people to overcome procrastination by taking small steps toward their goals, instead of looking at giant steps they believe are required to reach those goals. Many people are defeated when they have big goals in front of them that they want to reach because they see those goals as unobtainable. However, when you break that goal down into small, effortless steps, each day a person can become whatever he or she wants to be if he sees himself making progress toward eventually reaching a goal. Taking small steps daily allows us to reach our goals in life if we see ourselves moving toward those goals, rather than believing our goals and dreams are unobtainable. I’m completely convinced that anyone can become anything he wants to be if he takes small steps and chooses effortless goals every day on his journey to reach his ultimate goal. To learn more, you can contact Denise Horn at prettywheels53546@gmail.com or 608-743-4011. 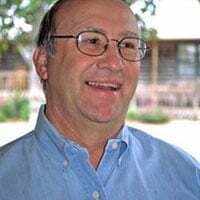 For the last 12 years, John E. Phillips of Vestavia, Alabama, has been a professional blogger for major companies, corporations and tourism associations throughout the nation. During his 24 years as Outdoor Editor for “The Birmingham Post-Herald” newspaper, he published more than 7,000 newspaper columns and sold more than 100,000 of his photos to newspapers, magazines and internet sites. He also hosted a radio show that was syndicated at 27 radio stations; created, wrote and sold a syndicated newspaper column that ran in 38 newspapers for more than a decade; and wrote and sold more than 30 books. Learn more at www.johninthewild.com.